The 5-Series GT is one of the most unsuccessful models BMW has ever offered. However, the company is bound and determined to get the GT formula right and has now expanding this option to new generation 3-Series. The difference between the unsuccessful 5-Series GT and the new 3-Series GT is that the latter will drop the twin-door hatch design in favor of a normal one piece hatch. It will also be 7.87 inches longer than the standard model and offer the added bonus of more headroom due to the shooting brake layout. The four-door coupe designed body will combine a set of raised, sliding rear seats with a high lifting tailgate that should make accessing the larger cargo area very trouble-free. This formula may very well make the car a bit more successful than the 5-Series GT. 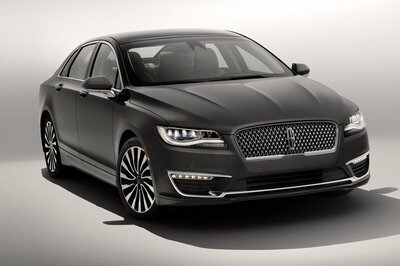 The official debut will be made next month at the 2013 Geneva Motor Show. 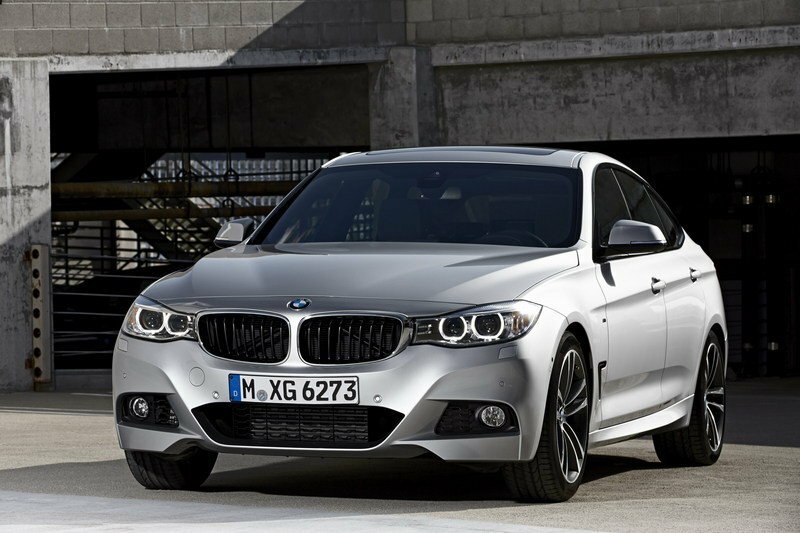 UPDATE 04/05/2013: BMW has just released an all-new product presentation video of the upcoming 3 Series GT. You can see the video above. When viewed from the front, you will think you are looking at a normal BMW 3-Series, as the GT features the same slightly forward-slanting BMW kidney grille, striking twin headlights with LED accent lights and two large air intakes placed on both sides of the front bumper. 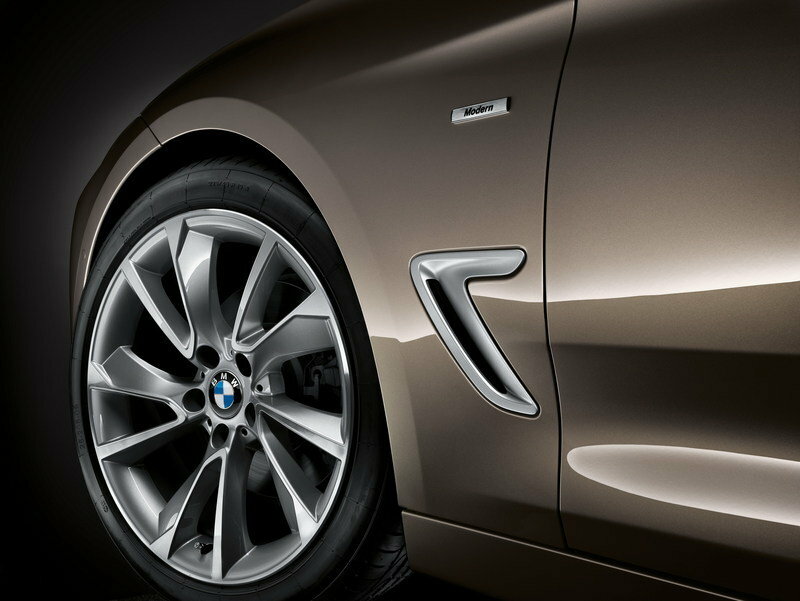 Once you get a glance at the side of the GT, you will notice the striking difference between it and the standard 3-Series. You will be happy to know that BMW decided to drop that ugly-looking twin-door hatch design of the 5-Series GT and has adopted a more conventional hatchback look. 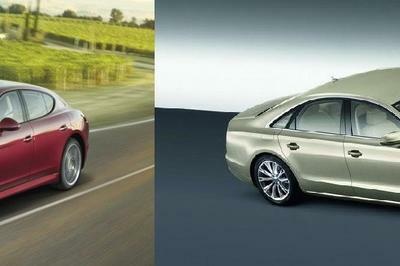 Still, the model has been so elegantly designed that it almost offers the look of a four-door coupe. It gets a sloping roofline and a large, automatically opening and closing tailgate. 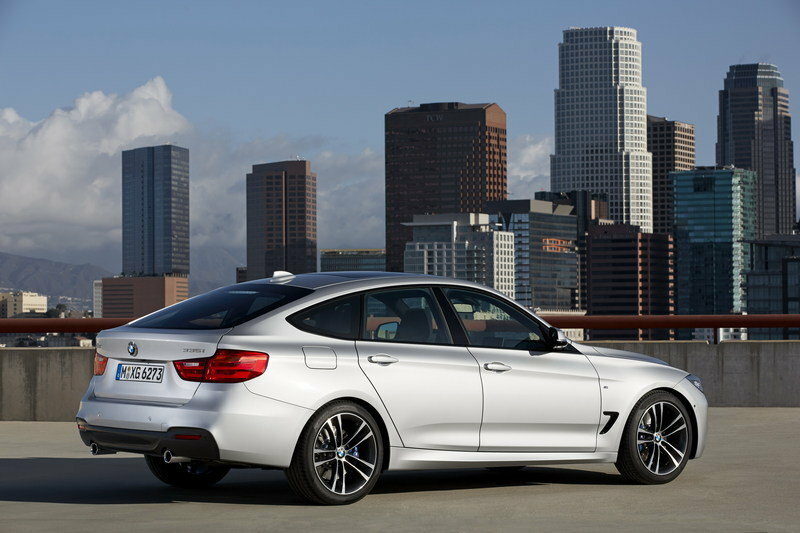 BMW also placed an active rear spoiler that reduces lift at touring speeds. When compared to a standard 3-Series, the new GT version is about 200 mm longer (7.87 inches), features a 110 mm (4.33-inch) longer wheelbase and is 81 mm (3.18 inches) taller. 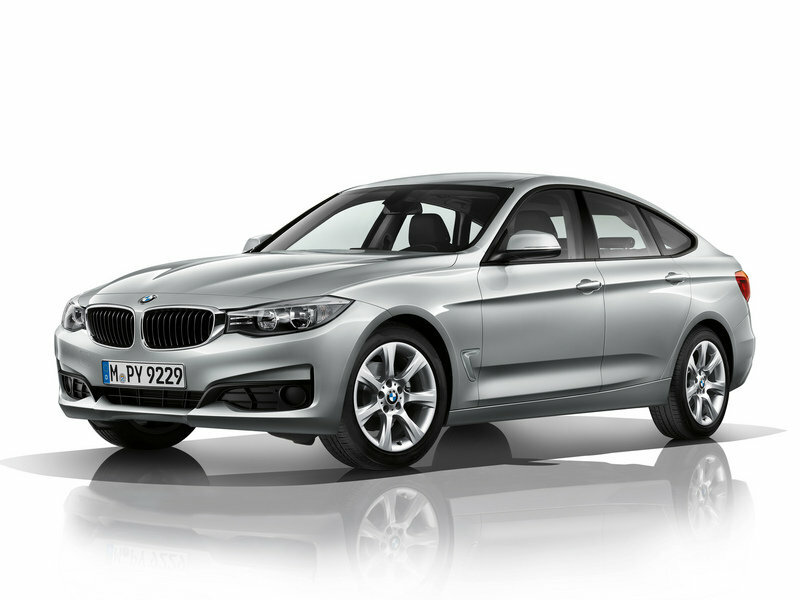 The 3-Series GT is only available in one trim level, but customers will have to choose between three different equipment levels: Sport Line, Luxury Line and Modern Line. 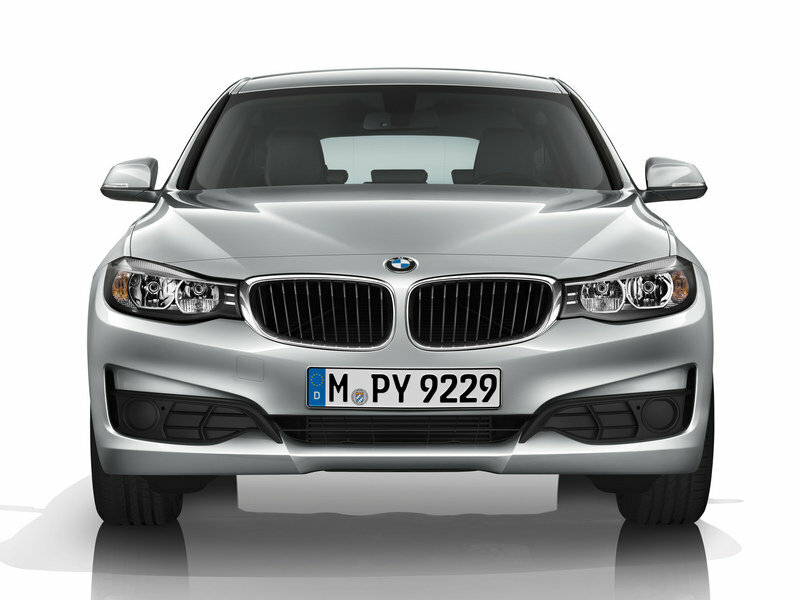 Each of the equipment packages can be further individualized with the M Sport package, which is slated for a July 2013 release. 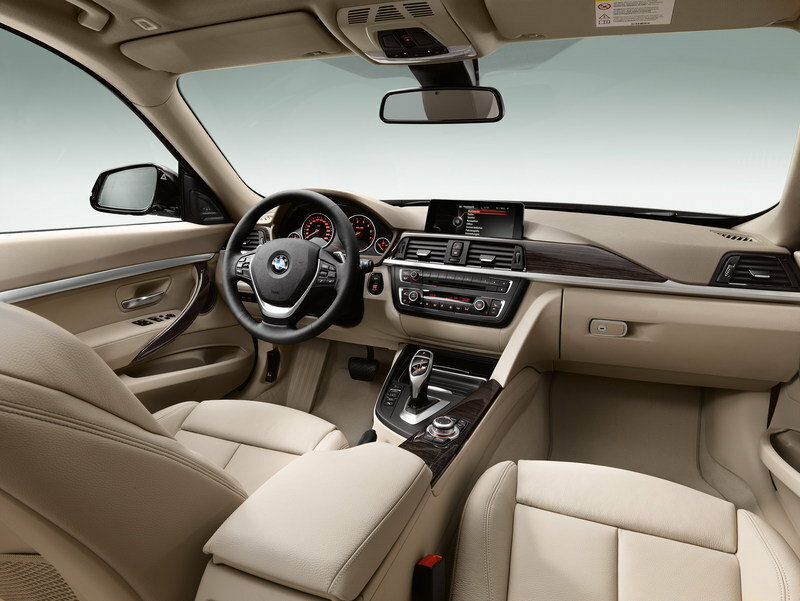 Thanks to the new hatchback look, the new 3-Series GT offers increased interior space. The front and rear passengers can now enjoy a seating position increased by 59 mm (2.32 inches) and all will benefit from the extra headroom. The rear passengers will also enjoy an extra 60 mm (2.75 inches) of legroom. 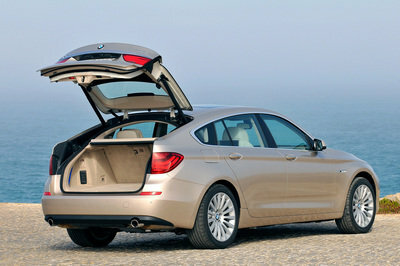 The new 3-Series GT seems to be specially designed for those who need increased cargo room: it offers a cargo capacity of 520 liters (18.36 cubic-feet), plus a 40:20:40 split-folding rear seat bench with folding head restraints and tilt-adjustable backrests that will offer the possibility to further increase the trunk space. Depending on the trim level, customers can choose between a very wide range of design forms, color scheme and materials. Standard sports seats offered with a wide choice of upholstery and colors. Just like with the standard 3-Series, the new GT version will be offered with a choice of five engines: three petrol and two diesels with power ranging from 143 to 306 horsepower. Each engine will be offered with the BMW TwinPower Turbo technology. The range-topping 335i Gran Turismo is the likely recipient of the 3.0-liter TwinPower engine that delivers 306 horsepower. Just below that will be the 328i Gran Turismo, which we believe will receive a 2.0-liter TwinPower Turbo engine that pounds out 240 horsepower. Finally, the 318d Gran Turismo – likely only to see use overseas – will get a 2.0-liter diesel engine with 105 kW (143 horsepower). The other two engines we are not too sure what to expect. The engine will send its power to the rear wheels via a standard six-speed manual gearbox or an optional eight-speed automatic. Both gearboxes will feature Auto Start-Stop function to help conserve fuel. 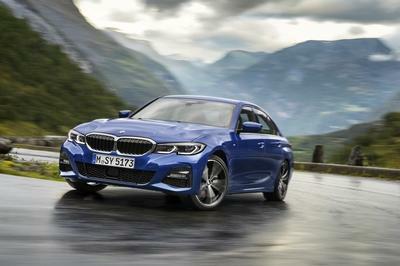 The new BMW 3-Series GT comes with an advanced suspension technology that includes a large number of light-alloy components, torque-steer-free electric power steering, finely-balanced axle load distribution (50:50) and a torsionally stiff lightweight body. 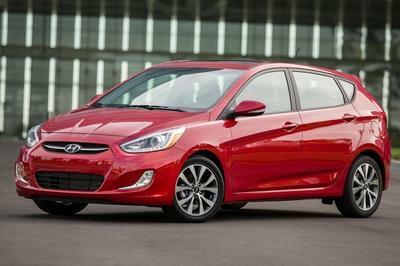 The car comes standard 17-inch wheels, but depending on the trim level, customers can choose between optional 18- and 19-inch rims. 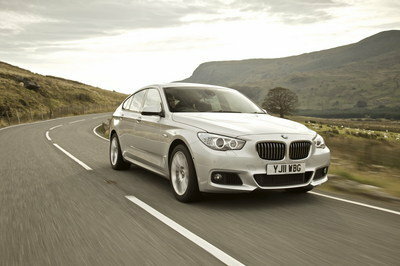 The new BMW 3-Series GT will be put on sale in the summer of 2013. Prices will be announced at a later date. Competition list for the new BMW 3-Series GT is a little bit different than the one of the standard 3-Series, mainly because of its increased cargo space. 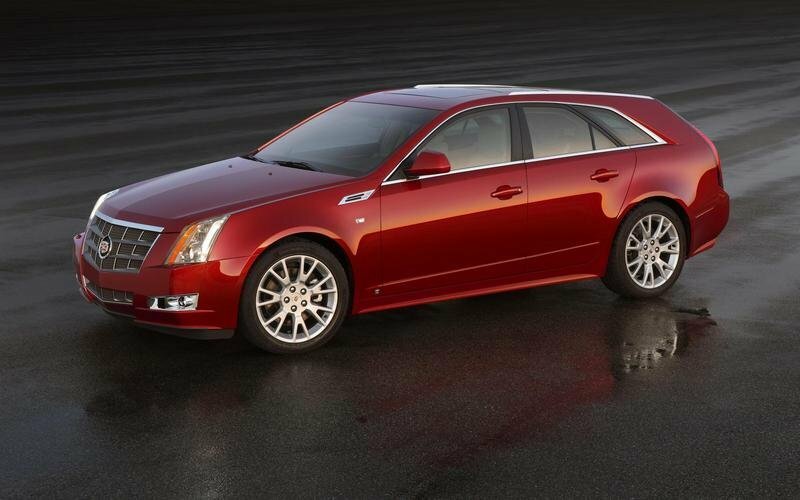 You may not hear many people telling you to opt for a Cadillac instead of a BMW, but we think it’s a good option. If you have followed the automotive industry in the past few years, then you know that the CTS proved itself to be a real competitor for the German models. And so is the station wagon. It is offered with a choice of two engines: a 3.0-liter direct-injection V-6 delivering 270 horsepower and a 3.6-liter direct-injection V-6 engine with an output of 318 horsepower. The model is priced from $39,205, and while we still have no prices on the new 3-Series GT, we are pretty sure the CTS is cheaper than the BMW model. Yes, the new BMW 3-Series GT looks a little bit different than the 5-Series GT, but does it have what it needs to make it a successful model? BMW hopes so, and we can only hope it is right because in the upcoming future we are also going to see a 1-Series GT and we do not want to see failure after failure. 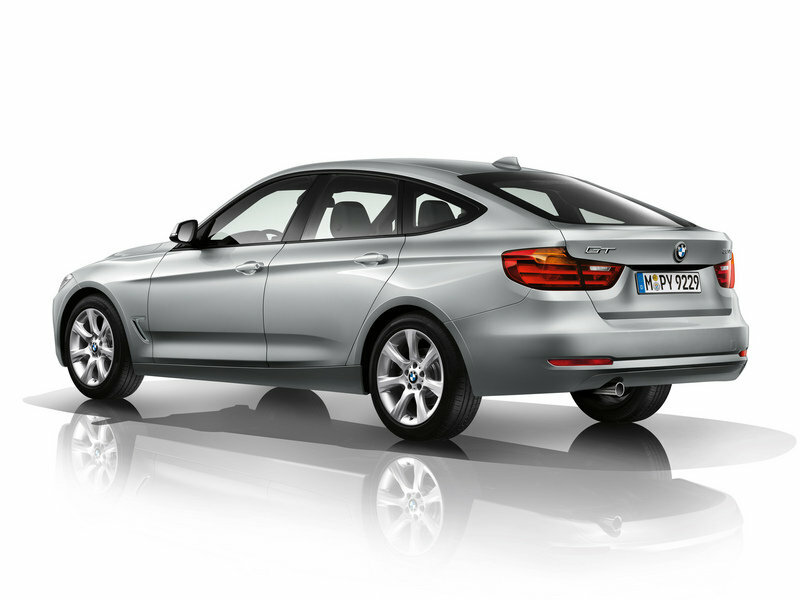 The new BMW 3 Series Gran Turismo adds an innovative new concept to the successful BMW 3 Series line-up. The third body variant in the current model family combines the Sedan’s dynamic, sporting genes with the practicality and versatility of the Touring, qualities which are backed up by a palpable increase in space and driving comfort. The Gran Turismo exudes aesthetic and emotional appeal, boasts a distinctive presence on the road and offers similarly pronounced driving pleasure. All of which allows the new Gran Turismo to make a compelling case for itself as both an elegant business carriage and a dynamic, comfortable tourer. of the new BMW 3 Series range. 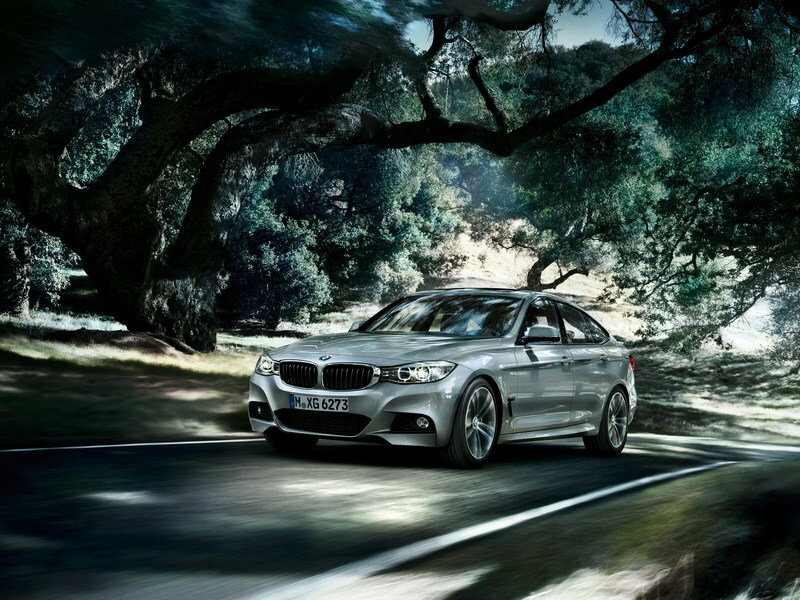 Quintessential BMW 3 Series: functional elegance, three equipment lines. High-end material combinations and fit and finish of the highest quality underline the premium ambience on board the new BMW 3 Series Gran Turismo. The latest addition to the 3 Series family can be ordered in an entry-level version, with the Sport Line, Luxury Line or Modern Line equipment packages, or with the optional M Sport package, which will already be available from July 2013. An extensive selection of driver assistance systems and mobility solutions, offered under the BMW ConnectedDrive programme, allows the new BMW 3 Series Gran Turismo to set the benchmark in its segment in terms of safety, convenience and infotainment. One highlight of the range is the latest-generation full-colour Head-Up Display, which projects key information onto the windscreen in sharp resolution. Included alongside an array of other convenience and safety-enhancing assistance systems is highly effective interface technology that allows extensive use of external mobile phones and numerous Bluetooth office functions for internet-based services.